Inspired by origami, Monaco is a clean and simple ceramic collection, with a variety of colours and layouts (see PDF for laying proposals). 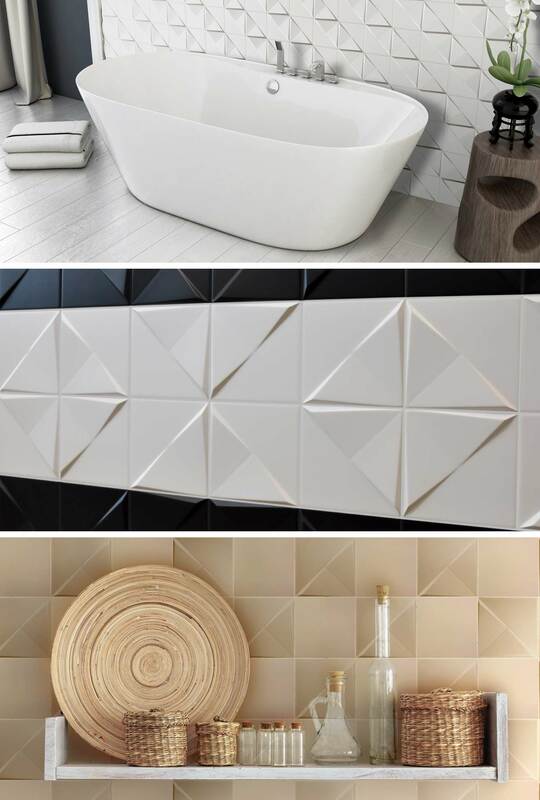 For something extra create texture and depth with the feature tiles. Available in both a matt and gloss finish, 7mm thickness and a 15x15cm size.